These words are lyrics from a song that I used to listen to all the time when I was younger. 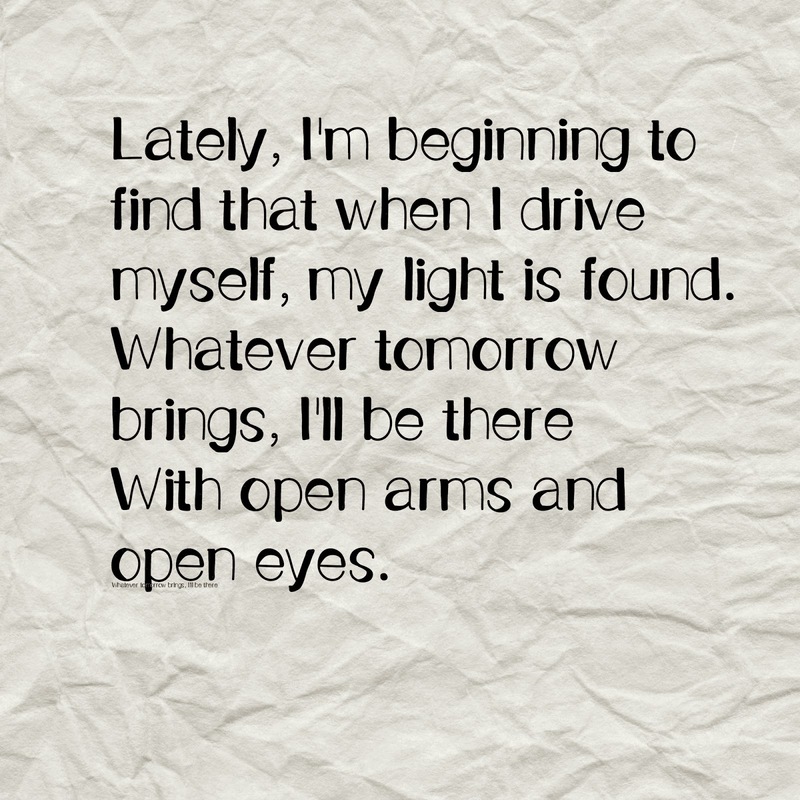 The song is called Drive by a band called Incubus. I heard it last night on Pandora (how amazing is Pandora btw?) after many years and the sentiments of the song still resonates with me. It talks about finding the strength to overcome fear and making decisions that set you apart from the crowd. When you take charge of your life and live for yourself rather than for praise/validation from others, you find the light within. You gain the confidence to embrace each day without apprehension regardless of what may come. One of my greatest endeavors in life is to live life fearlessly; following my heart and truly living a purpose filled life. I never want to look back and regret not having done the things I wanted becasue I was afraid. Give it a quick listen. I hope that you will be inspired.